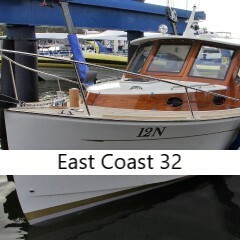 The East Coast 32 is a new design from the board of renowned naval architect Andy Dovell. 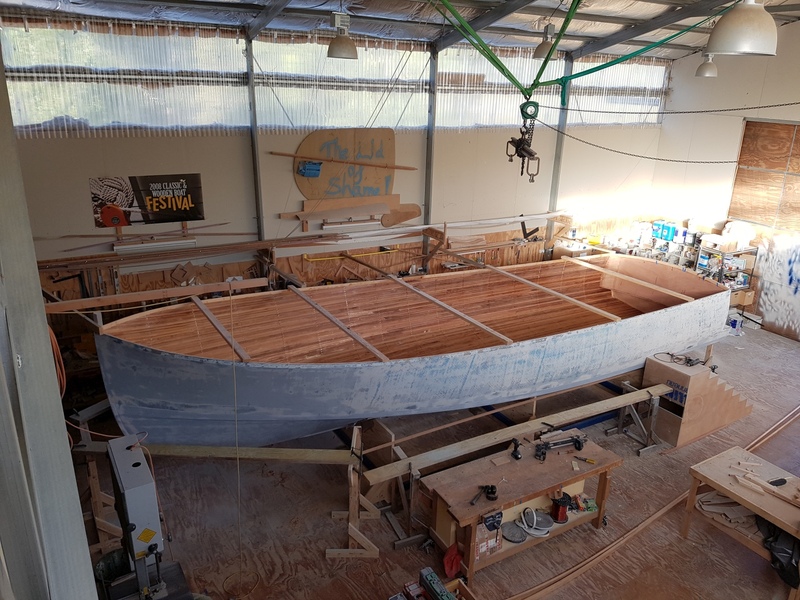 The design concept was to create a vessel primarily aimed at day use and occasional overnight stays on Sydney Harbour, but with the ability for shorter coastal hops in good weather. 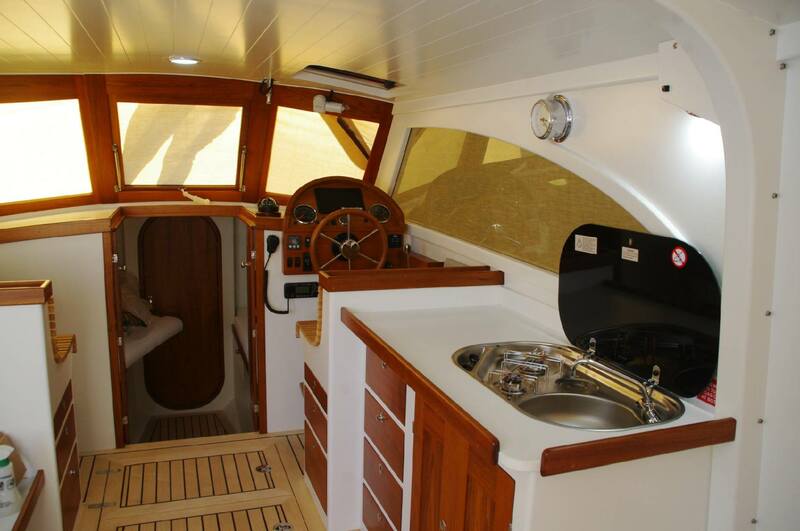 An emphasis was placed on having an open flow, uncluttered interior to facilitate interaction between the cockpit and the forward cabin area. 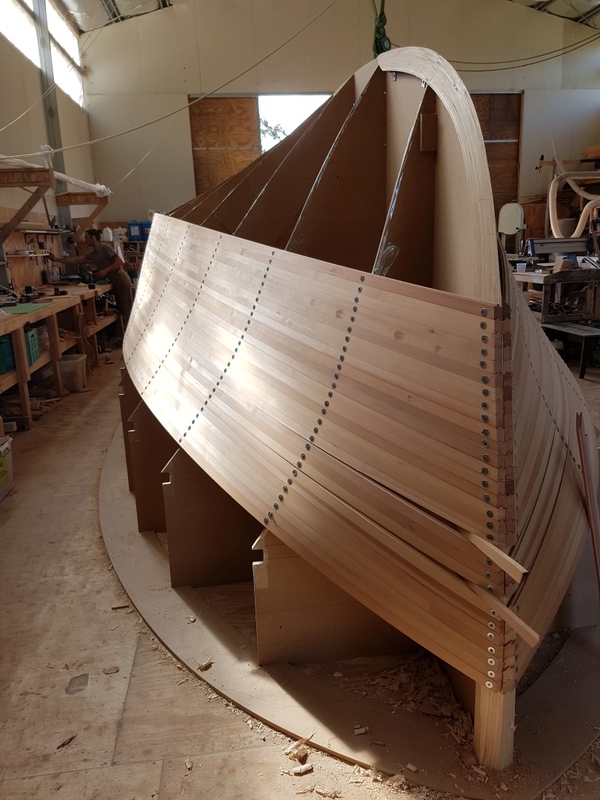 Although she has an eye to traditional looks such as the plumb stem and curved, raked transom, the design incorporates modern materials to achieve a strong, lightweight and easily driven hull. 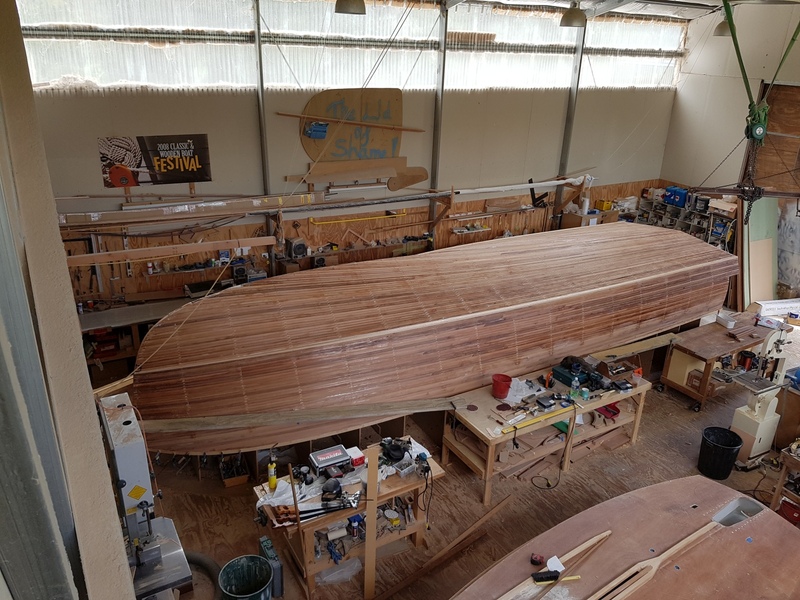 Hull construction is from western red cedar core with E-glass skins set in ATL Kinetix epoxy resins. 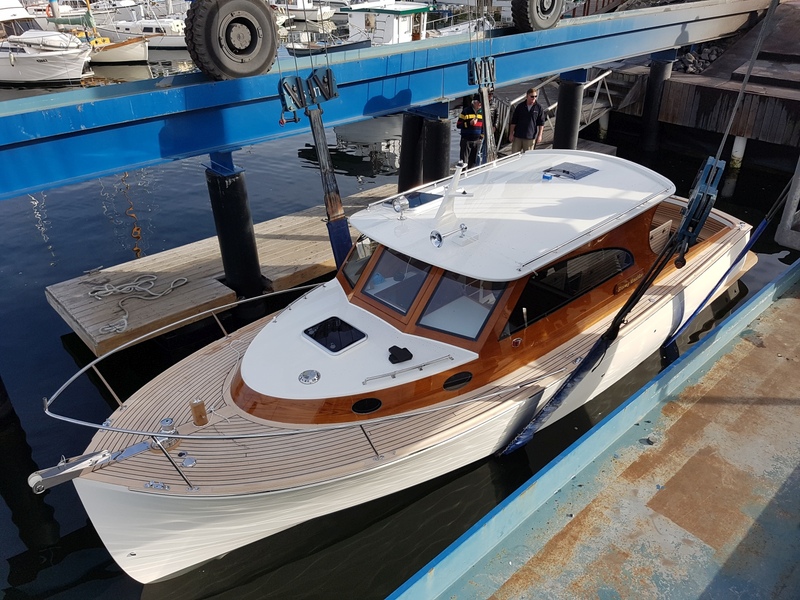 Exterior finishes are aimed at low maintenance with Awlcraft 2000 being used for the topsides and Awlwood used for all clear finishing. 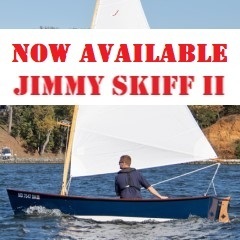 She is powered by a 150hp six-cylinder Steyr turbo diesel coupled with a 5-blade CNC milled prop which pushes her along at a top speed of just under 20kts, and she comfortably cruises at mid-teens. 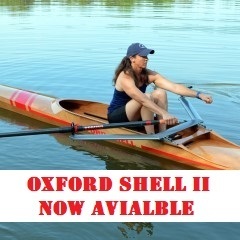 Due to the flare and extension of the chine forward, the boat is very dry in a chop, and her fine entry ensures no pounding. 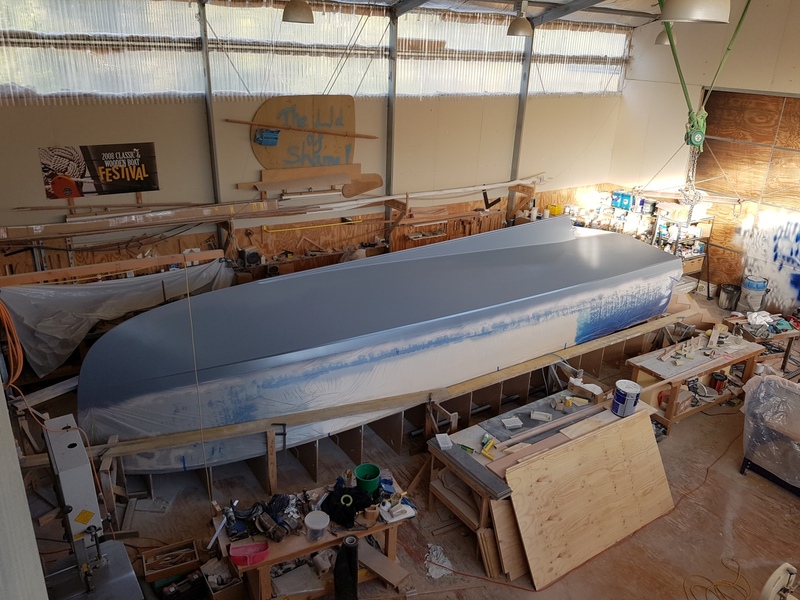 Unlike many semi-planing hulls, she does not drive around with her bow pointed skyward and there is little change in vessel attitude from displacement to planing speeds. 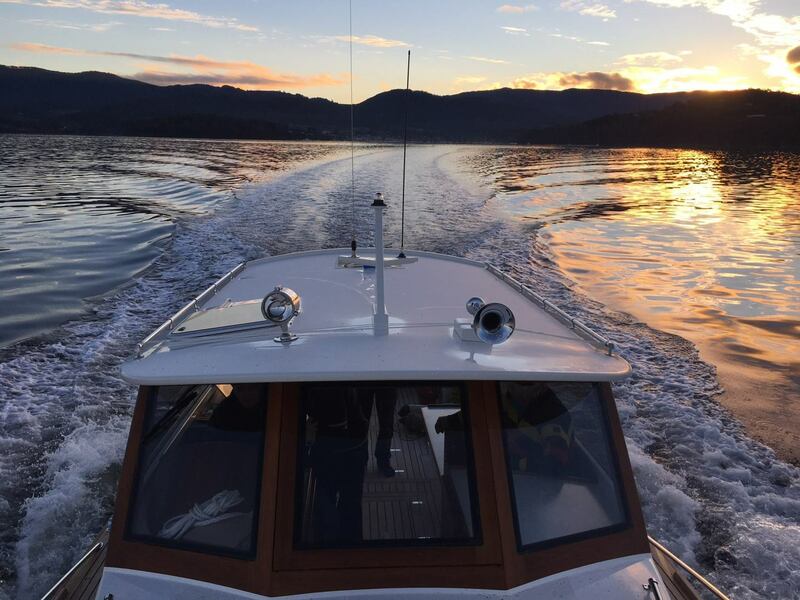 Exhaust cooling water splash has been eliminated by a custom water gas separator unit from Taylor Marine which makes for quiet cruising. 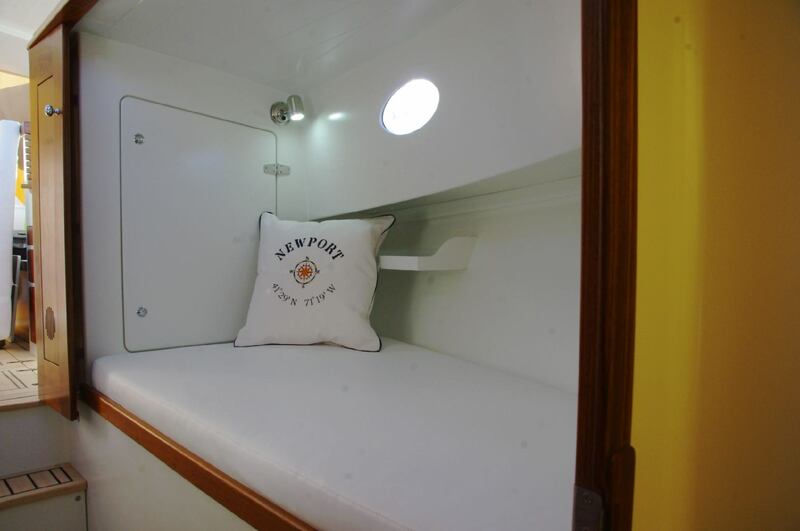 For overnight accommodation, there are two good sized berths in the forward cabin as well as an enclosed head. 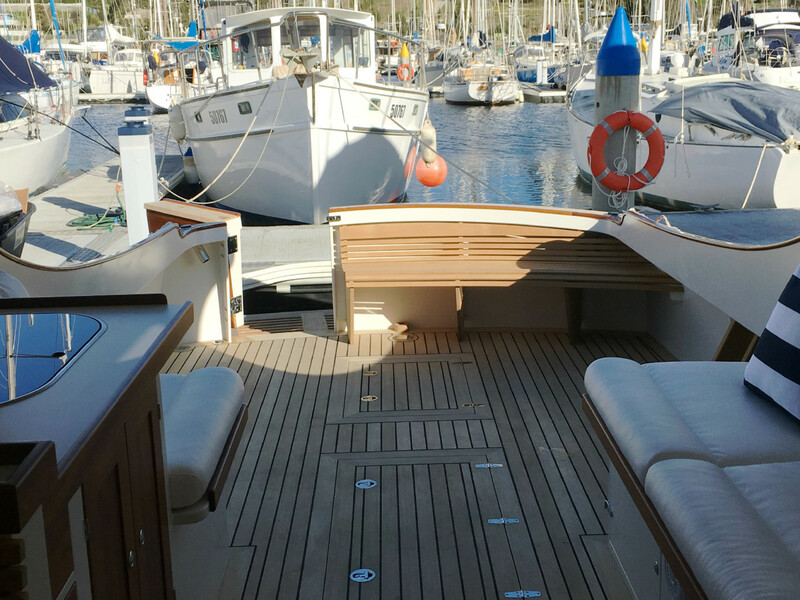 In the main cabin area, there are two helm seats, a settee/day bed to port and a small galley to starboard with plenty of storage. 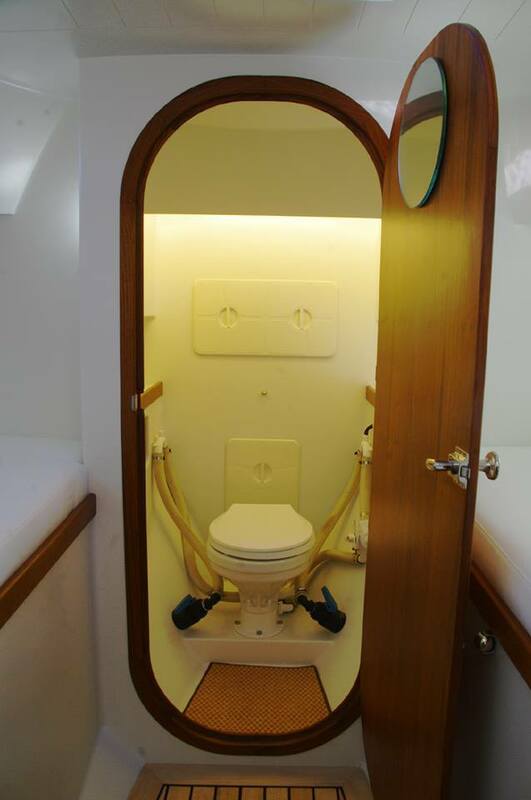 Hot water is provided both at the galley and at the stern shower. 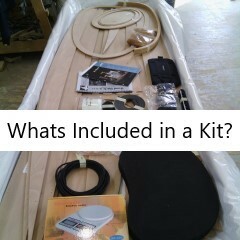 The main cabin area can be isolated from the aft cockpit when overnighting with the removable canvas/clear partition. 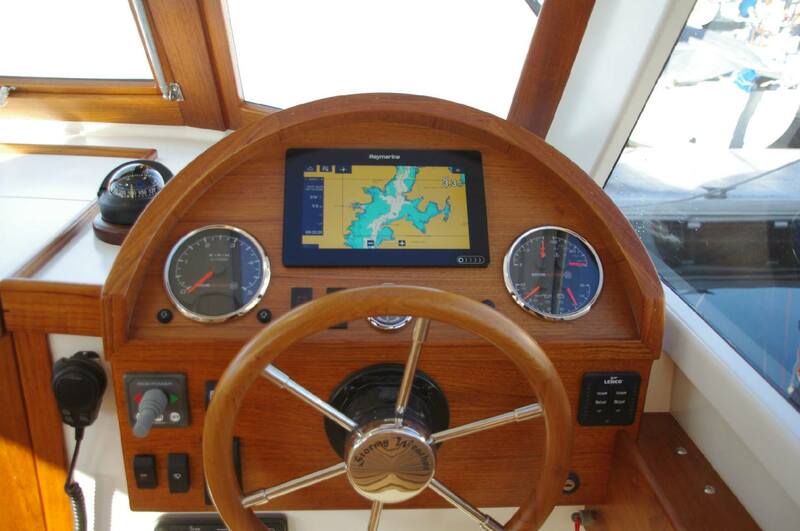 The boat has a Raymarine Axiom chart plotter as standard and a bow thruster for easy manoeuvring in tight spaces. 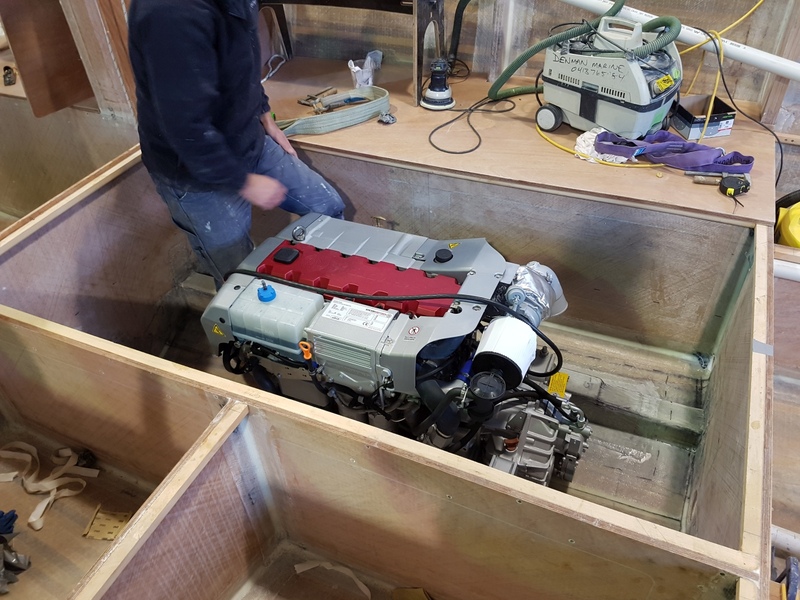 A Muir windlass takes care of the anchoring duties with a remote switch for the windlass at the helm. 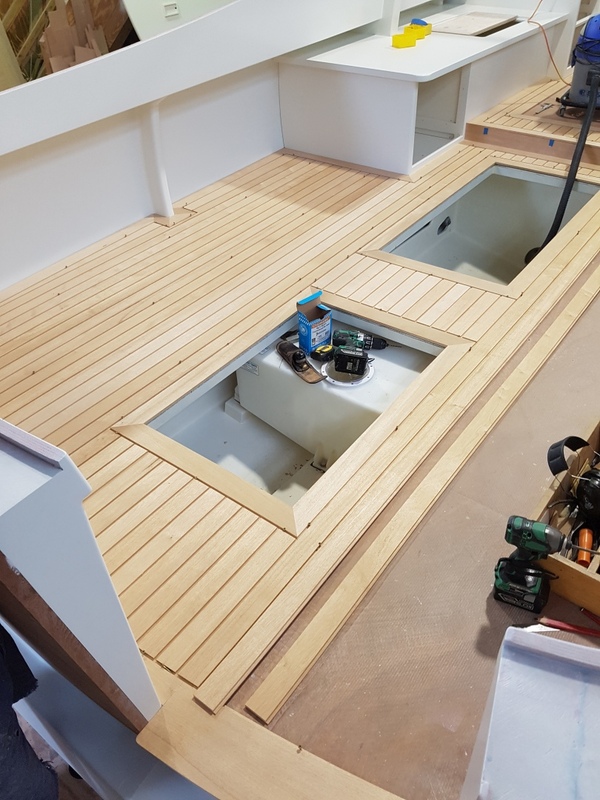 A transom door provides access to the large teak swim platform and boarding ladder which makes getting back on board after a swim very easy. 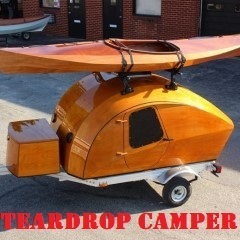 All in all, she is a great boat for day trips and the occasional overnighter. 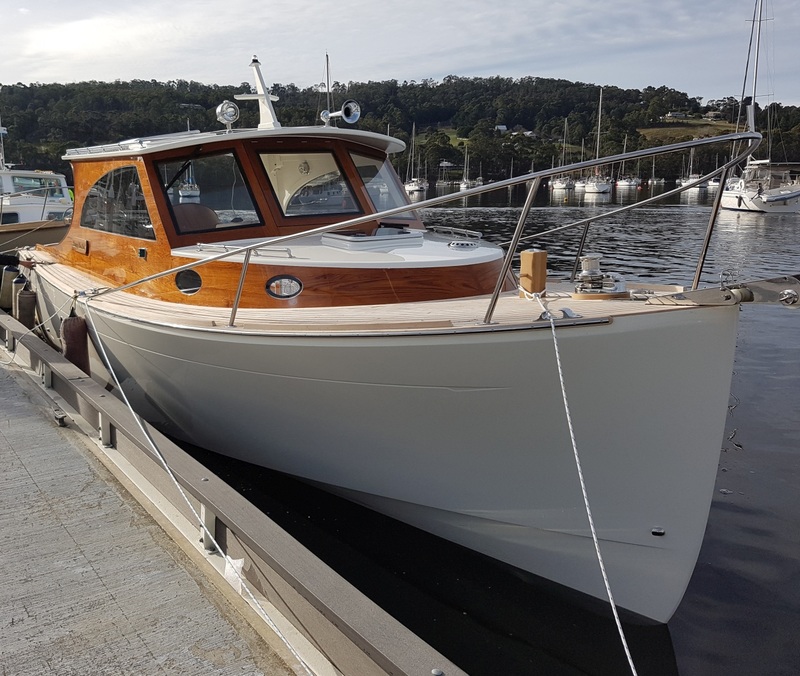 She is powered by a 150hp turbo diesel Steyr engine and in initial sea trials, clocked just over 19kts and cruises easily at mid-teens. 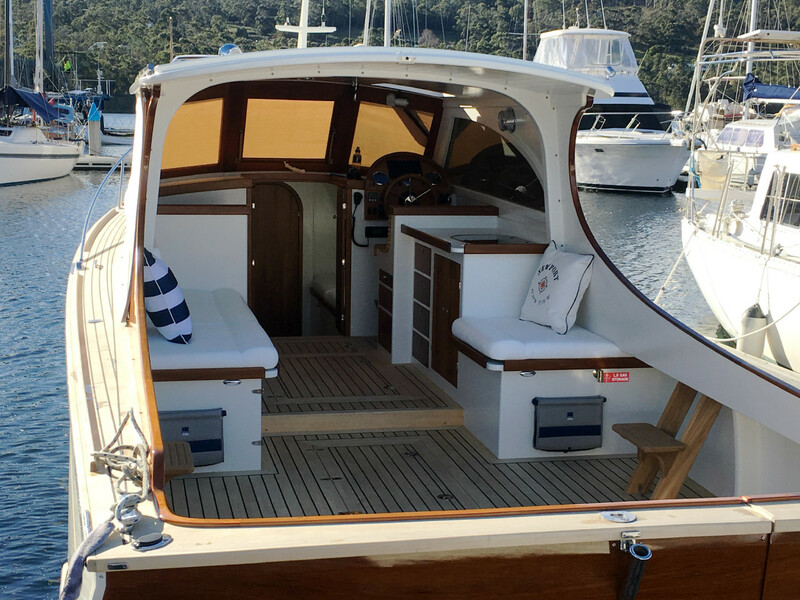 The interior layout is light and airy with a focus on a seamless transition from cabin to the cockpit – perfect for entertaining. 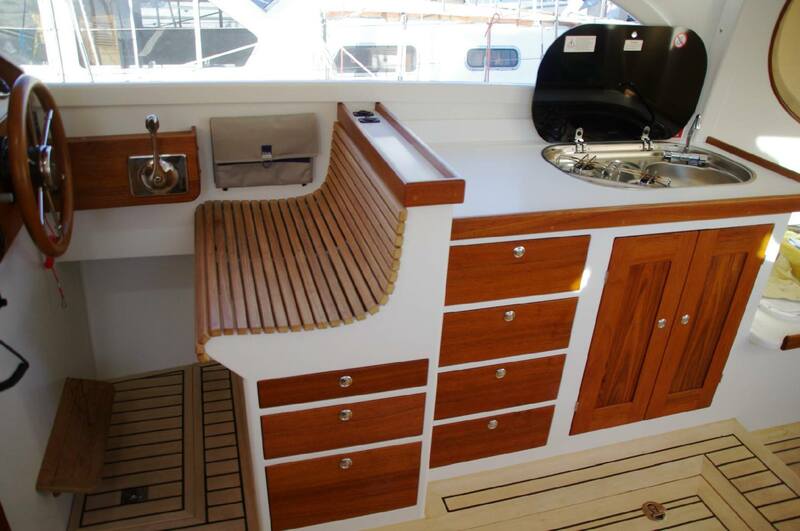 Below decks is a spacious forward cabin with two generous berths and an enclosed head. 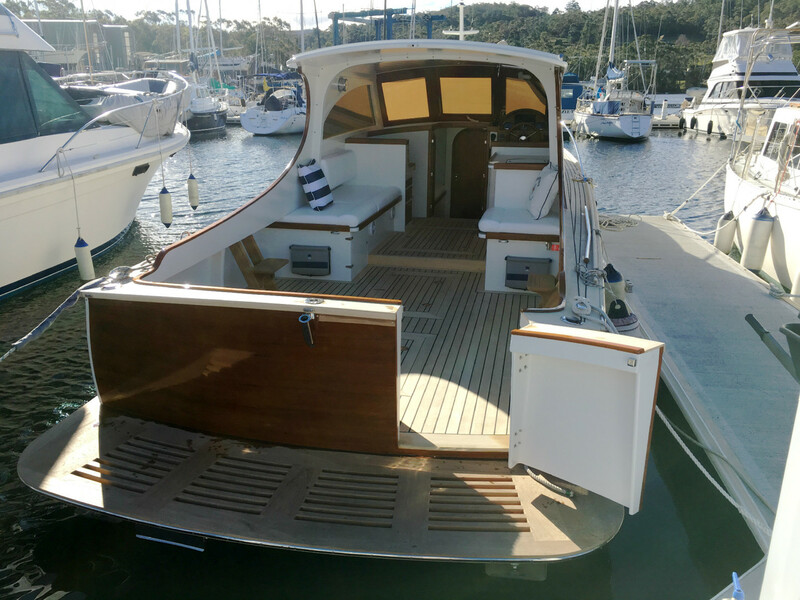 Construction is strip plank western red cedar with glass/epoxy skins resulting in a light displacement of 4,000kg. 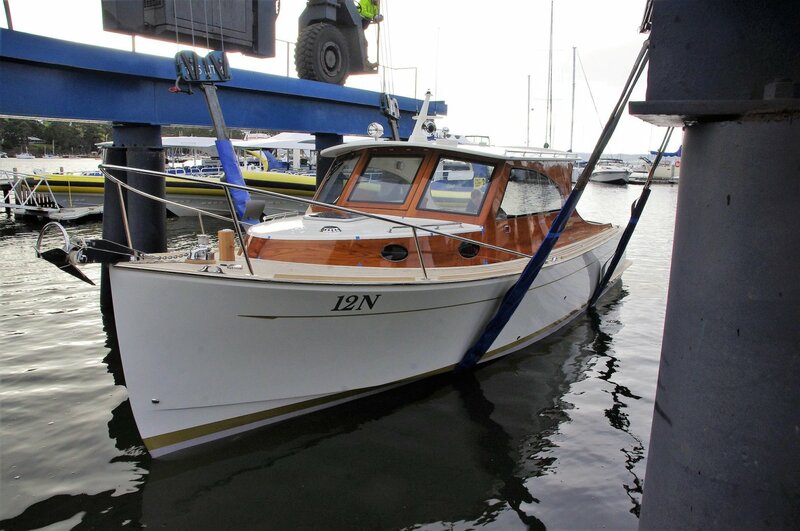 We are now taking enquiries for orders for this lovely vessel, so please contact us for further information. See below for more photos taken throughout construction.